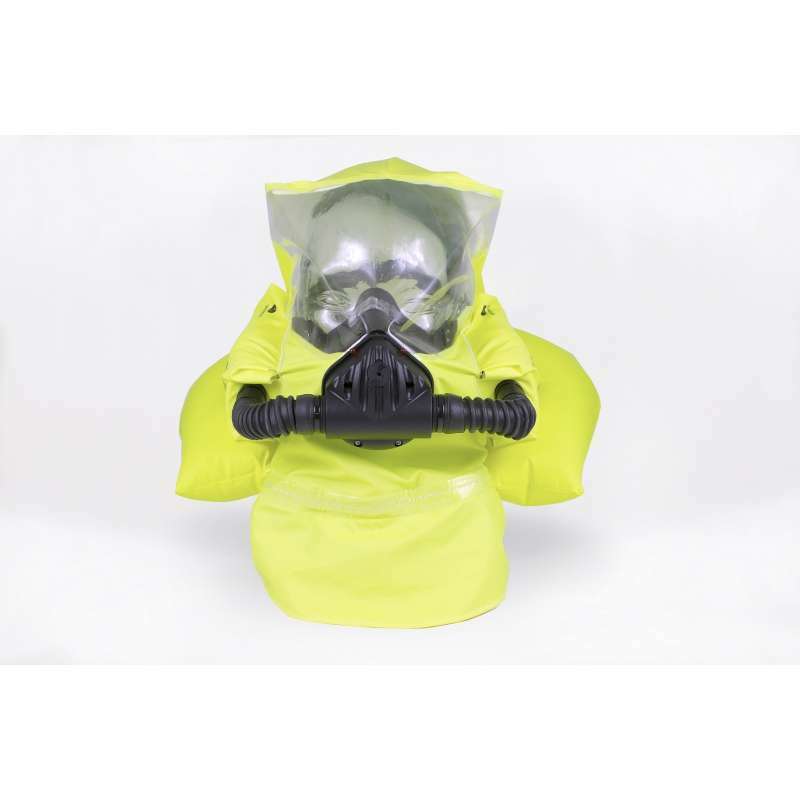 The head10 emergency escape set is designed for use in hazardous areas where there may be smoke, oxygen deficiency, toxic contamination and or the possibility of explosion. 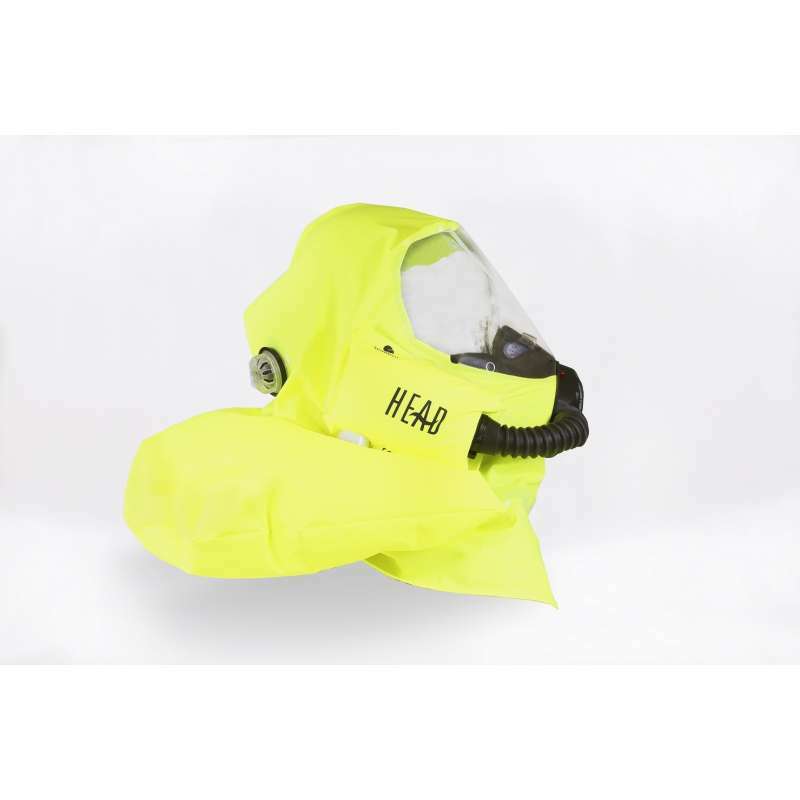 It is intended to be used as a short duration breathing device, based on a chemical oxygen system. It uses a starter candle to boost the units initial oxygen supply by inflating the breathing bag and purging the oxygen in the KO2 generator cells which are mounted on either side of the wearers head. 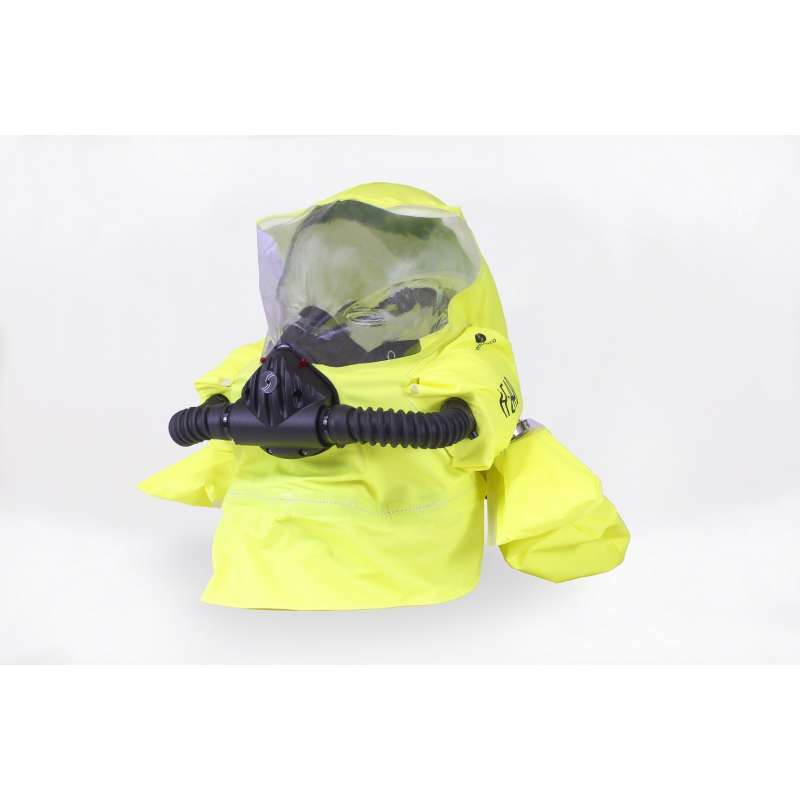 This is a highly simple hooded escape kit designed to provide the wearer with 10 minute of breathable air and head protection as well as excellent field of vision and communications. It incorporates a 3-stage audible and visible alarm system and is easy to use and quick to put on in an emergency situation. The storage indicator offers a clear indication of the units condition prior to being deployed. It can be stored for up to 6 years initially and a further 3 years after a satisfactory validation plus it can be returned for reworking at Semmco after it has been used. It is comfortable to use and features an internal cooling mechanism. When mounted in a wall mounting box it weighs 3.3kgs and its dimensions are 310mm x 210mm x 160mm and when in a carrying case it weighs 2.4kgs, and its dimensions are 330mm c 200mm x 170mm. Full training is available through the company either at their facility or on site. This unit has been designed and tested in full compliance with EN13794, DIN 58639 & DIN 58652-1 and satisfies all modern safety requirements including EEC 89/686/EEC.